This famous urbanisation started life as La Baraka, a hunting estate owned by world famous businessman and socialite, Adnan Khashoggi. Here he kept twenty Arabian stallions as well as 200 African animals and the parties held at his villa, now the country club, were legendary. When Khashoggi’s fortunes took a turn for the worse, Enrique Perez Flores bought the land and commenced a programme of development that many thought was unwise – to build a first class luxury urbanisation of super-luxury villas at a time when there wasn’t even yet a motorway on the coast, and contemporary property speculation was focused on apartment developments. Indeed, Perez Flores had permission to build 3,000 apartments – instead, he concentrated on making the development into a world-class haven for the super-rich, ensuring as priority that security was thorough from inception. With only two entrances and a 24-hour, seven day a week security presence, the privacy of residents can be assured. 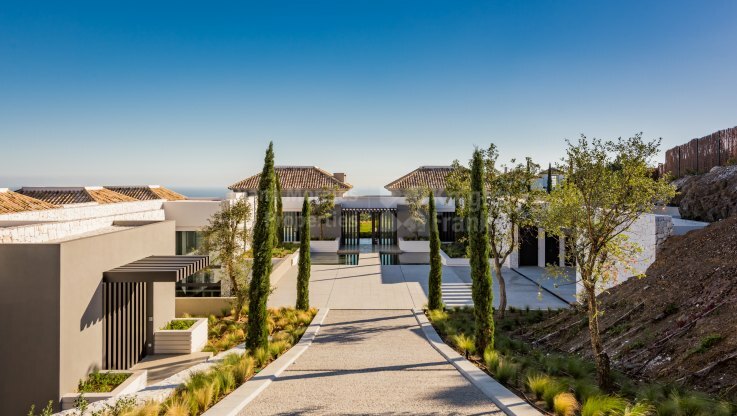 Planning within the estate has been given the utmost attention with plots of between 3,000 – 10,000m2 being placed at least ten metres from their neighbour. Not only does this assure privacy but also means that nature is prioritised, with deer and wild boar to be seen wandering the beautifully maintained sixty-kilometres of roads that wind through the estate. The equestrian centre provides horses to take wonderful hacks through the beautiful countryside and spectacular views of the coast, without ever having to leave the urbanisation’s boundaries. Should a resident not want to leave the estate there is no reason why they must. There is a concierge and lifestyle management service that caters for every need, as well as club houses for the two world-class golf courses created by American Bradford Benz. 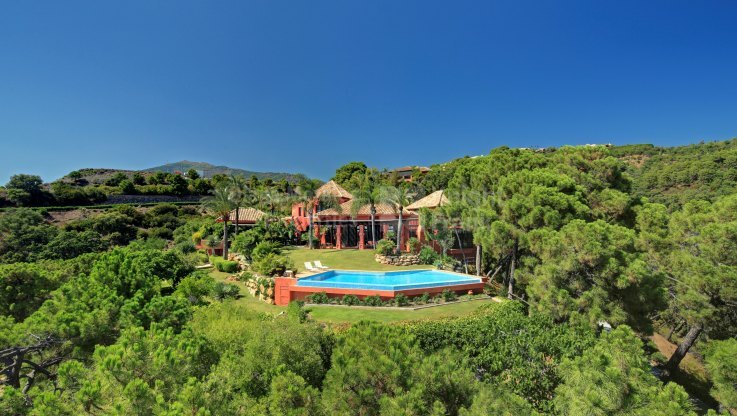 The main club house features a restaurant with organic corner, reception rooms for parties, events and celebrations, tennis and padel tennis courts as well as an outdoors swimming pool and a golf pro shop. La Zagaleta also features its own helipad to whisk residents away should business call. 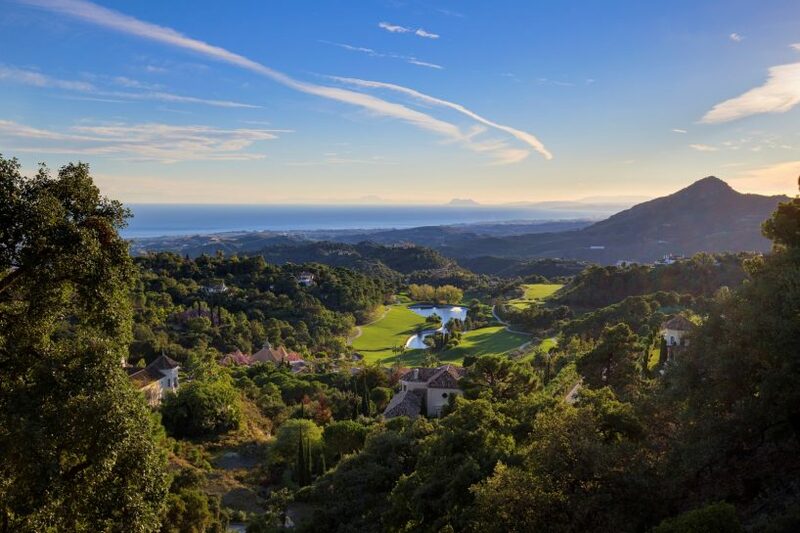 At Diana Morales Properties | Knight Frank we have spectacular villas for sale and plots within La Zagaleta, as well as other wonderful properties in Marbella and surrounding areas.